Hi everyone! For the next few days, we will be highlighting some of our new products with Design Team Projects. So be sure to come by each day to see what our fabulous team have created for you! Today we start with these adorable elephants from our new "Flying with Friends" stamp set, so grab a balloon and join us for an adventure! 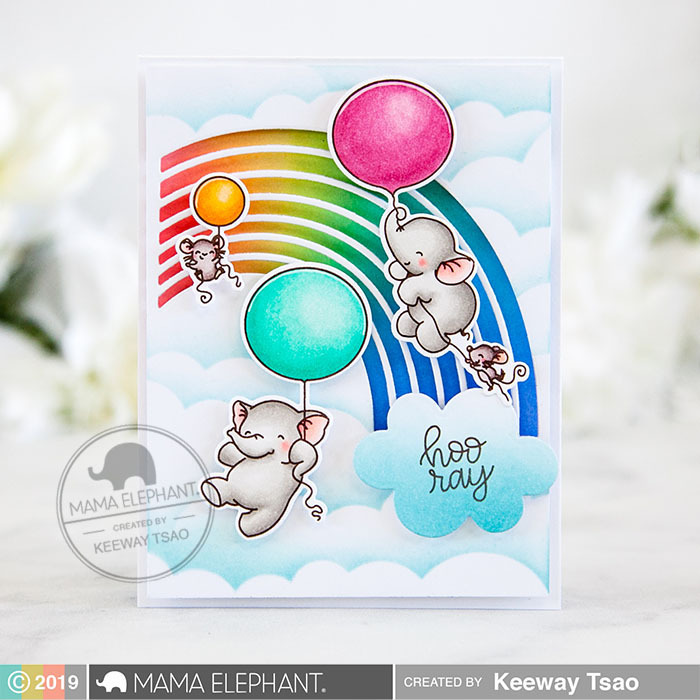 Keeway created a rainbowtastic scene with our Offset Rainbow Creative Cuts and combined both Flying With Friends and Fly With Me sets! Laura combined Flying with Friends with the Offset Rainbow Creative Cuts & Framed Tags-Waverly Creative Cuts along with a sentiment from Labeled Messages. Adorable card by Amy! She combined the Flying with Friends with the Friendship Sentiment and the Cloudy Day Cover Creative Cuts. 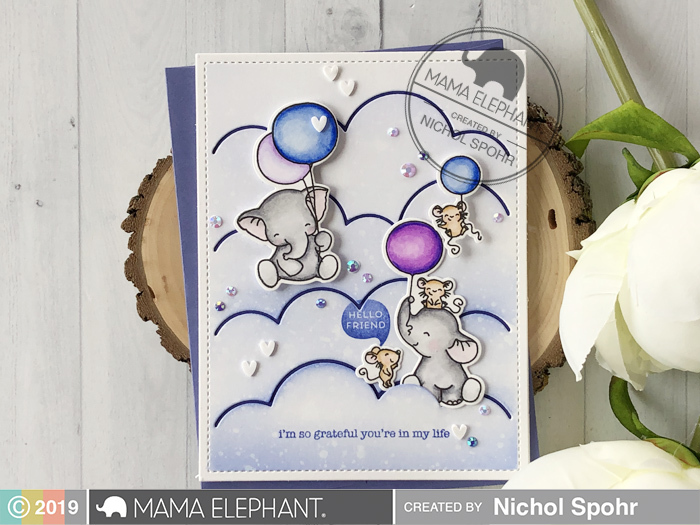 Nichol paired the Cloudy Day Cover with the sweet elephants and mice from Flying with Friends for this cloudy scene card. 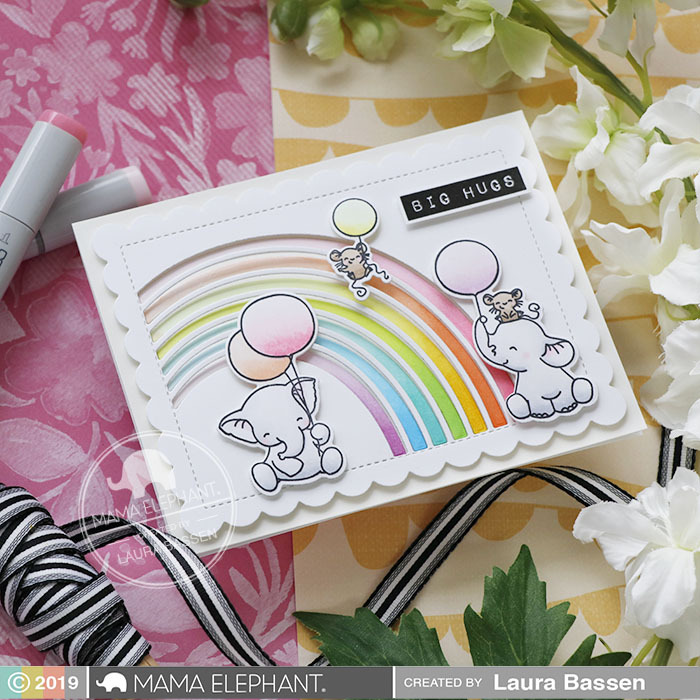 Thi used Flying with Friends to create this sweet little scene that pairs perfectly with that sentiment from Friendship Sentiments. Share happiness wherever you go! We love Vera's sweet scene on the Cloudy Day Cover Creative Cuts. These are all such beautiful projects! Oh my goodness, balloons and elephants, can't get any cuter! What awesome samples! 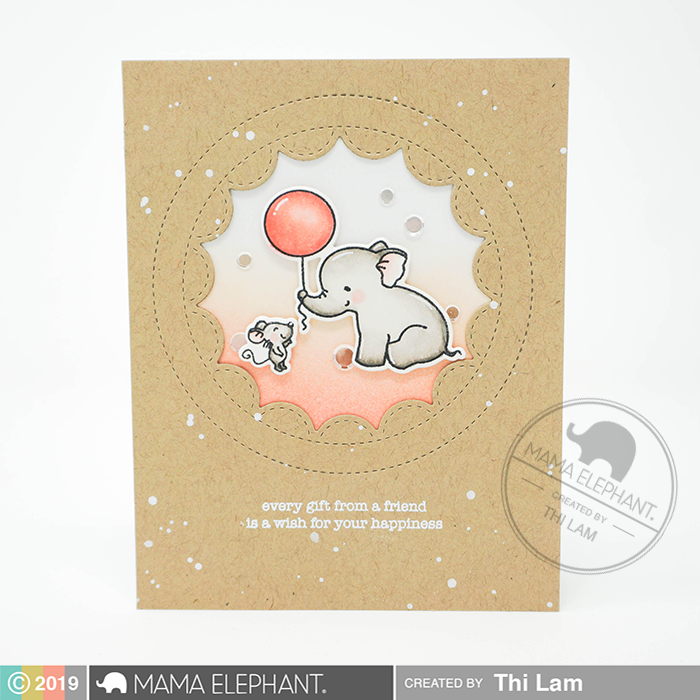 I have fallen in love with the Cloudy Day Cover Die.... the elephants and mice are so cute too! Delightful cards! These are all Soooo Adorable!!! I just LOVE these elephants!! So SWEET. I love these cute images and awesome cute cards. My dad loved elephants and when he passed I got a lot of his little figurines. Elephants warm my heart when I see them as they remind me of him.. Thanks for the memories. So adorable! I love those sweet elephants, and both the rainbow and the cloud dies work so well with this set.